I will provide a more substantive post later today, but until then, here are a few thoughts and my excuse for not posting since Thursday. I spent the last three days in transit to the very eastern part of Long Island to celebrate the marriage of one of my best friends. When his life has settled down a bit, he may be contributing some posts to this blog, so stay tuned! His area of expertise is supernova explosions of the type recently observed in the M101 galaxy. Lack of expertise doesn’t usually stop me from writing, but if I can get a real expert to take over for a day, I’ll definitely do it! In any case, congratulations to Carles and Christine! Entirely coincidentally, yesterday also marked the anniversary of the September 11 terrorist attacks. I really don’t have anything to say about that, especially in the context of this blog. 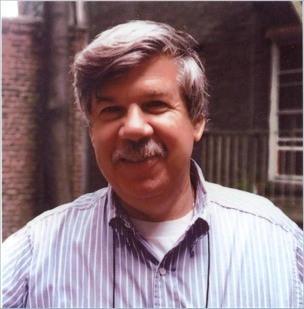 However, Jerry Coyne noted that Saturday, September 10 would have been the 70th birthday of science writer Stephen Jay Gould. I’m not a biologist (that should be one of the subtitles of this blog), but I will say that Gould is one of my biggest influences as a science writer. I know the criticisms — some are deserved, others less so — and Coyne is good about pointing out what is praiseworthy in Gould’s work while not committing hagiography. Gould died of cancer in 2002 at the relatively young age of 60, but between his essays and books, he left behind enough to keep an avid reader busy for a long time. I especially recommend Wonderful Life, whose specifics about the Cambrian discoveries are somewhat dated but whose perspective on the contingency of history is still very relevant: if you were to restart life 530 million years ago and allow life to evolve, it’s highly unlikely evolution would follow the same pathways to produce the species we see today. In addition, I still go back to The Mismeasure of Man for Gould’s passionate indictment of scientific racism (and yes, I know the problems with the craniometry chapter), and assigned the chapters on IQ and “general intelligence” to my Science Vs. Pseudoscience class, which of course was the direct impetus for the Galileo’s Pendulum blog. “Debunking as Positive Science” could serve as a pretty good manifesto for a lot of science writing, though of course he also wrote a lot about discoveries and connections as well as pseudoscience. So as we think back over the last 10 years, both the mistakes and the positive things, I will also think about life, wonderful life and the positive work of scientists all over the world.